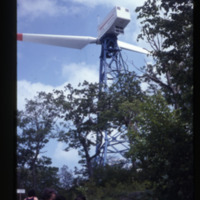 Image shows the windmill once located on Howard's Knob, circa 1979. 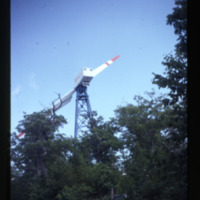 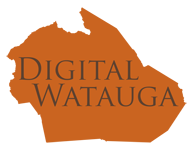 Image appears to be taken from the ground while standing atop Howard's Knob. 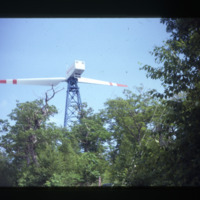 Date on slide is August 1979, and the slide bears the inscription: Windmill.